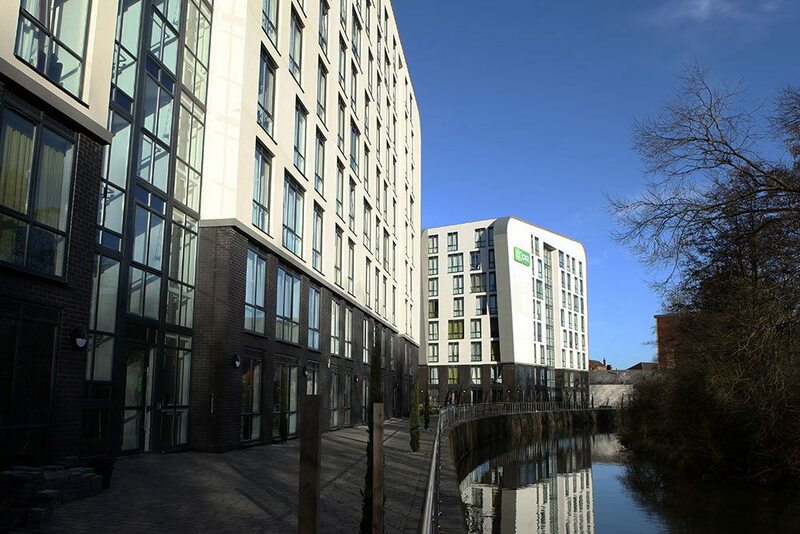 The second student accommodation development constructed by Winvic at Western Road in Leicester City Centre for Jamie Lewis Residential Lettings. The project consists of one five storey block (76 flats) and one six and ten storey block (203 flats) to provide 279 luxury studio student flats with two floors consisting of ancillary offices and storage. The nine-storey block has a Metsec-infill system finished in through colour render, with the four-storey block composed of traditional-face brickwork to match the adjacent Victorian properties and render applied to the upper floors and rear elevation. Internally, the rooms are defined using metal stud and plasterboard partitions and contain an ensuite bathroom and kitchen/study area. Heating is provided via electric panel radiators.